Whitford Charitable Fund Spreads Generous Holiday Cheer! 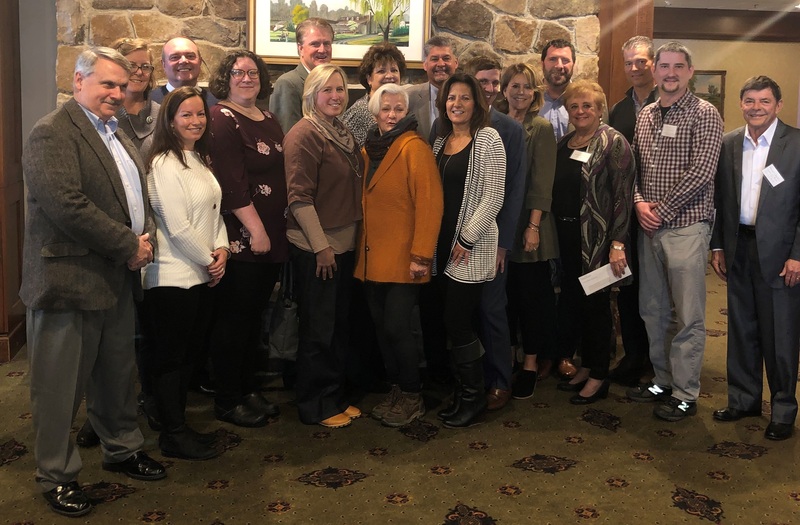 (Exton, PA – Nov 20, 2018) The Whitford Charitable Fund Committee, and ten Local Chester County Organizations attended a luncheon at the Whitford Country Club in November to celebrate the success of the Eighth Annual Whitford Classic Event. Over $130,000 was distributed to this year’s beneficiaries which included Safe Harbor of Chester County; West Side Community Center; Uptown Entertainment; LaSata Farm; Coatesville Area Senior Center; CVIM: Smiles for Jackie; Downingtown Library; Phoenixville Area Children’s Learning Center; Great Valley Community Organization and North Star of Chester County. Whitford Country Club members gathered together on a weekend in September to raise funds at their exciting event. A morning of Ladies’ round robin tennis kicked off the weekend. The highlight of the weekend was the Friday night gala. Held at Whitford Country Club, members, friends, and guests from the beneficiary organizations danced to live music, enjoyed great food, and participated in a silent and live auction. There was a golf sponsor’s event on Saturday where 124 golfers enjoyed a great day. Mother Nature won on Sunday and the Pro-Am was cancelled, however the members and participating PGA professionals enjoyed lunch and the Eagles victory. The Whitford Classic Event was created eight years ago by a few visionary members who wanted to create an opportunity to give something back to the community in which they work, play and raise their families. To date, the Fund has granted over $900,000 to local nonprofits. The Whitford Charitable Fund truly does “connect people who care with causes that matter”. The Whitford Charitable Fund is a fund of the Chester County Community Foundation.